2017 marks 100 years since the United States entered World War I, and New Jersey’s arts communities are honoring the centennial in events across the state. In a premiere episode airing 9/24, State of the Arts featured a reading at Fort Dix of the Cape May East Lynne Theater Company’s A Year in the Trenches, based off of texts including a memoir by the New Jersey native soldier Charles Edward Dilkes. Written by James Rana and directed by Gayle Stahlhuth, the play explores the stories of several Americans – all from New Jersey – in wartime Europe one hundred years ago, including Sgt. Dilkes, pilot Kenneth Russell Unger, and notable writer Joyce Kilmer, as well as two women – Amabel Scharff Roberts, the first nurse to die in the war, and Grace Banker, who led the Hello Girls, a group of women telephone operators serving the US Army. Fort Dix was a particularly poignant setting for this reading, as the space served as a training camp for units in World War I, and the Fort, situated near our state’s capital, is still an active military post today. You can see this play performed on select dates from September 20 – October 14 in Cape May. See here for schedules, information, and tickets. 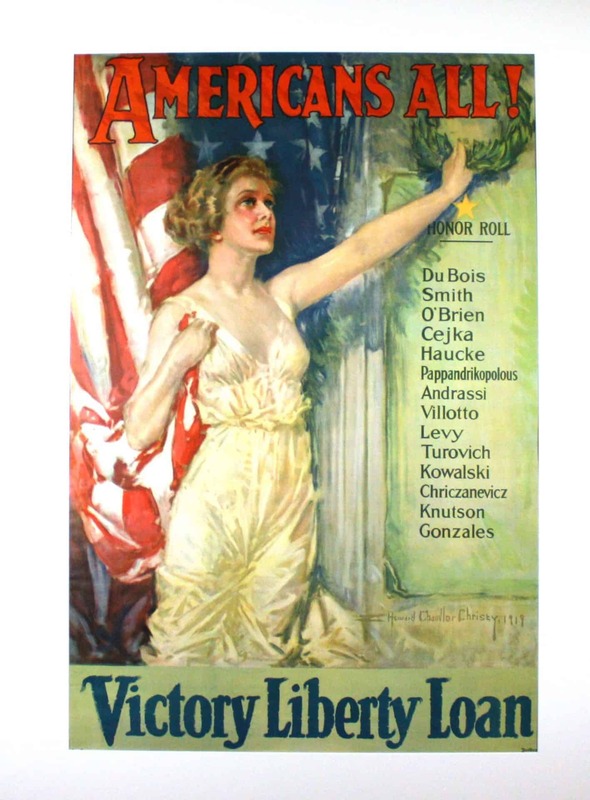 Also in September, Embattled Emblems, an exhibition of rarely-seen posters and flags used to instill patriotism and raise funds for the war effort, opened 9/16 at the State Museum in Trenton. In seeing this exhibition, viewers can discover firsthand how art and design has historically played a role in the public’s perception of politics and current events. The State Museum will host another exhibition to highlight this historical anniversary. Shifting Views: Artists who experienced World War I opened 10/4 and collects works by artists from either side of the war. German, Austrian, British, and American artists will be represented in the show, offering a well-rounded look at how every nation is affected by conflict as well as a direct comparison of how these artists’ experiences played roles in their art-making. You can find more information and events listed at the WWI Centennial Commission, whose New Jersey partners include the NJ Historical Commission, the NJ Historic Preservation Office, the State Museum, the State Archives, Rutgers University, and the NJ National Guard Militia Museum. 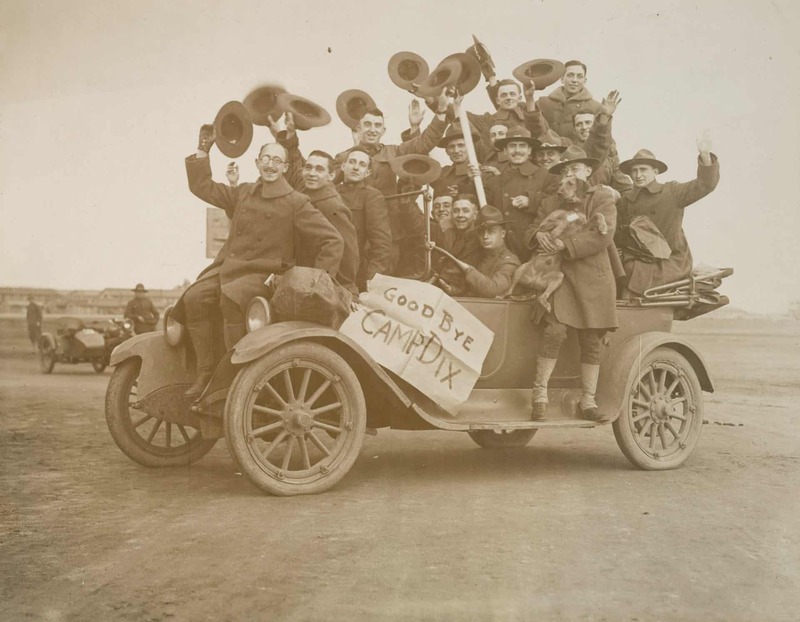 Look for “Over Here: Newark in World War I, 1917-1918” at the Newark Public Library, and “Songs the Rallied the Homefront” at the Hoboken Historical Museum among other events! World War I was an intense part of our history, and New Jersey’s arts organizations are making sure to honor and respect those who experienced the war in the most pivotal possible way: by bringing those memories and lessons to current generations. ← 2017 Mid-Atlantic Emmy Nominations!